relief. The painting shows unity of mathematics and psychoanalysis. 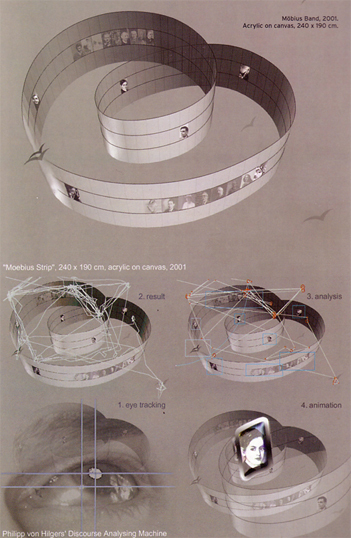 Moebius Strip – which indeed possesses only one edge and one surface – serves as a metaphor: it seems to have two sides, but in fact, there is just one. The upper historical psychoanalysis line turns slowly into the lower portraits line showing heroes of mathematics and algorithmic information theory. In the lower portion of the painting, at the turn area, Friedrich Kittler and Viktor Mazin reside. Both authors, at certain time points, have dedicated themselves to the close relations between the living and non-animate apparatuses. 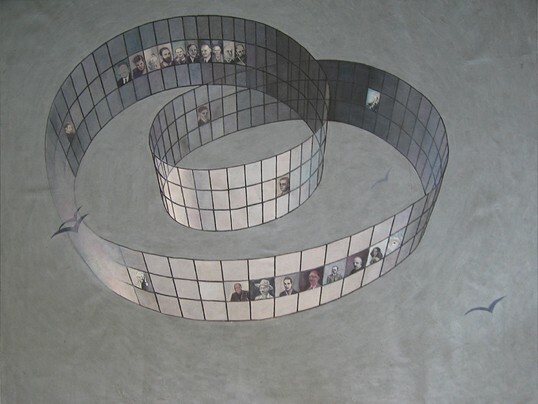 The painting served as a basis for performative lectures by the artist: viewers were able to activate different portraits of the Moebius Strip’s digital version. 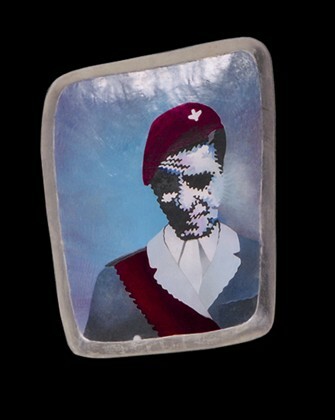 Faces of the scientists blinked on and appear to enunciate quotes chosen by Joulia Strauss to suit the work’s theme. 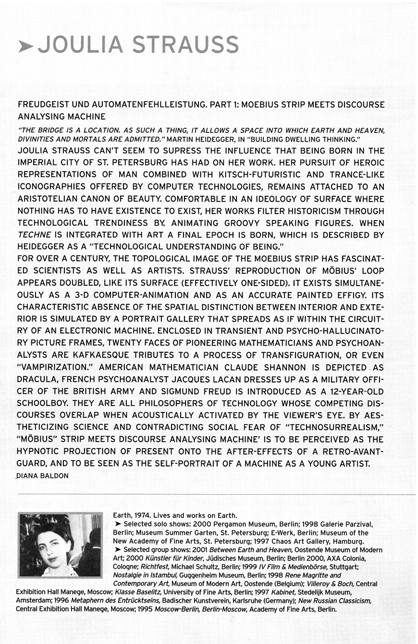 The artist was physically connected to the computer by a cable and thus acted as a medium between man and machine. Executed in color, an accompaining relief shows “Jaques Lacan as a Theory Dictator”.